Wild turkey are prevalent in our town. Watch out when you meet one on the running trail. Lots of people like to have turkey on Thanksgiving. I’ve decided to focus on the Thanksgiving Lamb. Lambs as offerings of thanksgiving: have you ever considered what this means for Thanksgiving Day? 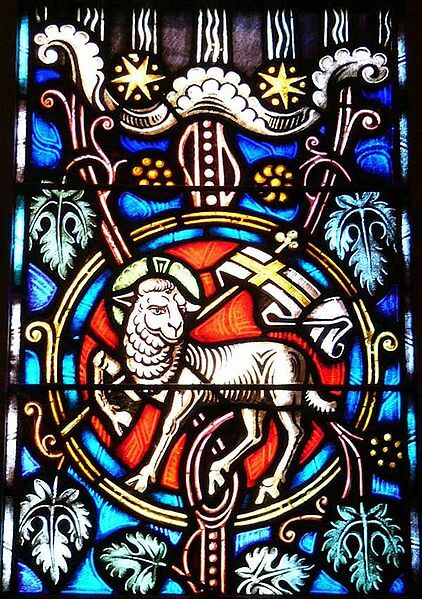 The Lamb of God, stained glass detail, photo by John Workman in St. Ignatius church in Chestnut Hill, Massachusetts. the Savior who gave us his Spirit to live within us for eternity. This Thanksgiving I give thanks for the Lamb. This entry was posted in Uncategorized and tagged Agnus Dei, heavenly Father, Holy Spirit, Jesus, Lamb of God, thanksgiving. Bookmark the permalink. Any day — pass me some lamb!! Bronwyn just wished me a “redeemed thanksgiving” on my blog, and I thought of that phrase as I read this post. Because of the Lamb, we are redeemed; because of the Lamb, we give thanks. I love how that passage in Leviticus points out, they should leave “none of it until morning.” To me, that implies they are to participate in the abundance of the thanks offering, enjoying it and being nourished by it. Keeping leftovers (hoarding or storing them) would imply a lack of trust in God, a fear that even though he provided once, he might not provide again. 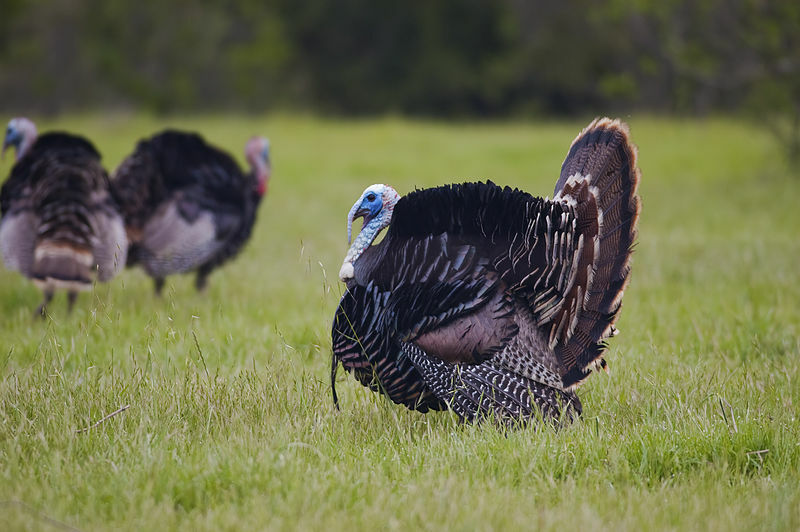 One question: If I were to meet a wild turkey on the running trails, what might happen? I’m curious! Usually they get out of the way. In packs, they might not be so thoughtful so then you have to run around them. It’s best not to run through them though, because they might just come your way. I don’t know anyone that has been injured by them but they can flap their wings quite strongly.